Your Boston Florist For Over 45 Years! Daily Flower Delivery & Boutique Shopping! Our Garden Design team has been hard at work for the last few weeks, filling window boxes, planting gardens, and refreshing rooftops. We just wanted to show off some of their beautiful work! Like what you see below? 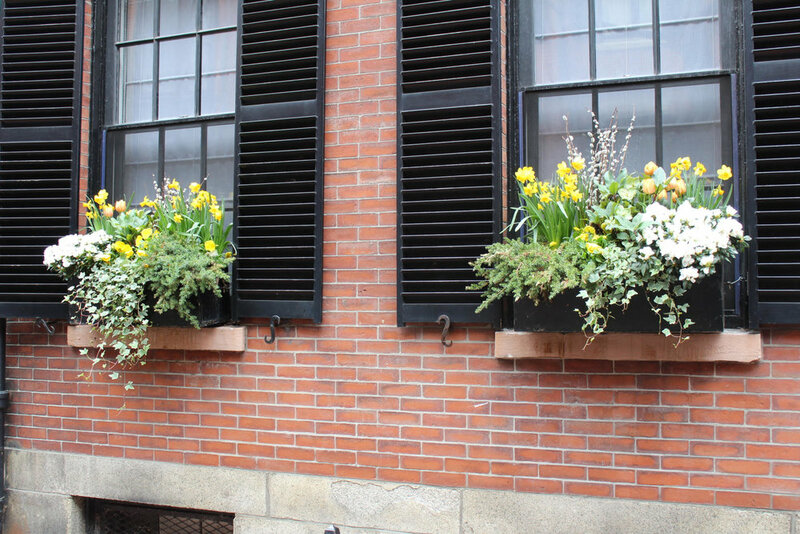 Give us a call at 617-720-2266, or fill out this online form, and someone from our Garden team will be in touch to help you figure out your perfect window box. Sign up with your email address to stay up to date with all things Rouvalis Flowers. Your Neighborhood Boston Florist for over 45 years! Providing beautiful, fresh flowers for Daily Delivery, Events, Corporate Lobbies and more! Flowers Delivered to Downtown Boston and Greater Boston, Same Day!